One of South America’s best-kept secrets, Bolivia boasts such a broad array of attractions that travellers intrepid enough to reach this remote land are treated to a wealth of history, culture and mind-blowing landscapes. Until a few years ago Bolivia was totally off the fly fishing map, following an old story some enterprising anglers ventured deep into the jungle and discovered clear streams full of giant golden dorado; the rest, as they say, is fly fishing history. A magical destination, Bolivia will leave you breathless…and not just because of the altitude. A perfect mix between the small crystal clear streams and the lower sections full of big migratory fish. From a popper in a feeding frenzy to a sight cast in a pocket, Pluma lodge offers the whole Tsimane experience. 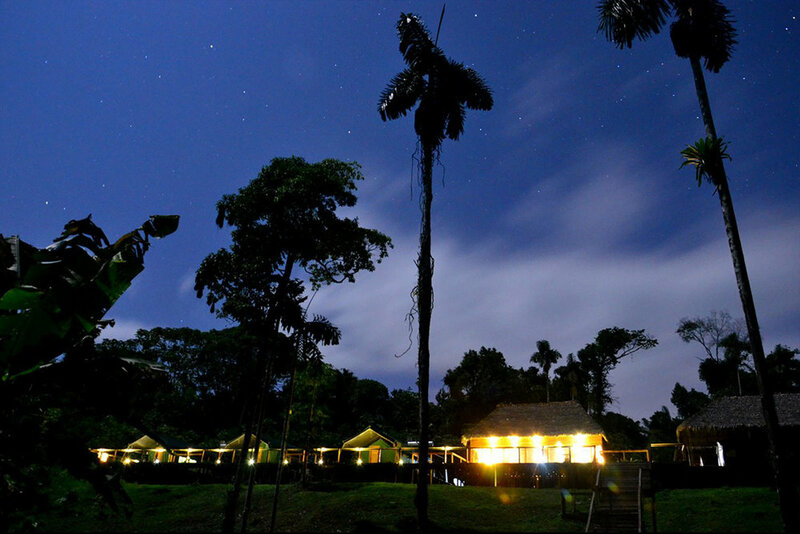 Sécure lodge is situated in the Sécure river headwaters. Downstream is a set of rapids, which always holds big dorados. Upstream you'll explore the upper part of the Sécure River and 2 tributaries: Maniquisito and Ashahana. Agua Negra holds the best waters for sight fishing in Tsimane, with big dorado in shallow waters.